(September 12, 2016) - A collaboration of university researchers, government agencies, and private sector groups released today a next-generation climate modeling dataset with improved local-scale climate projections covering the 21st century for a region from northern Mexico to southern Canada. 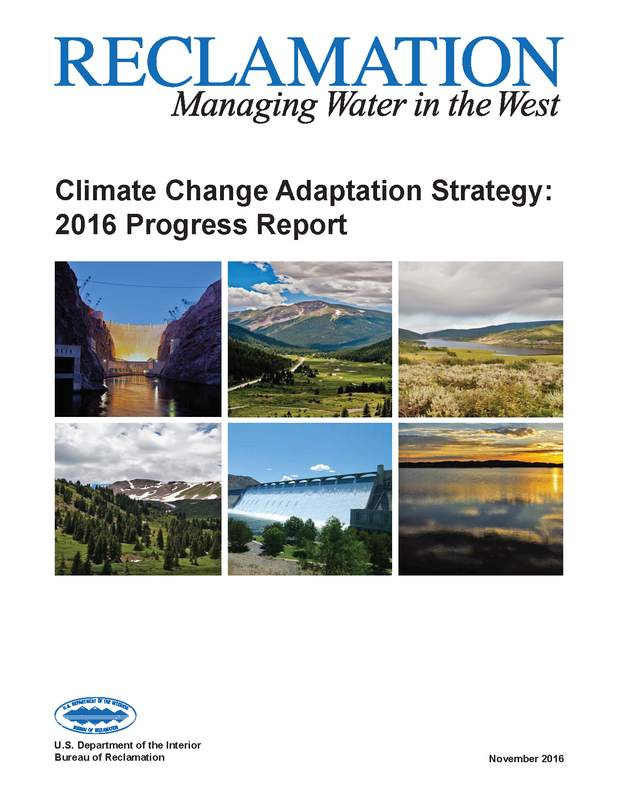 (March 22, 2016) - Putting the national spotlight on the importance of water sustainability, the Department of the Interior and the Bureau of Reclamation released a basin-by-basin report that characterizes the impacts of climate change and details adaptation strategies to better protect major river basins in the West that are fundamental to the health, economy, security and ecology of 17 Western states. Westwide Climate Risk Assessments - The West-wide Climate Risk Assessments (WWCRA) are a complementary activity with the Basin Studies and the Landscape Conservation Cooperatives within the WaterSMART Initiative, in accordance with Secretarial Order 3289 (pdf - 83 KB), and meet the authorizations of the Secure Water Act. As a whole, these three activities represent a comprehensive approach to incorporate the best available science into planning activities for climate change adaptation planning. 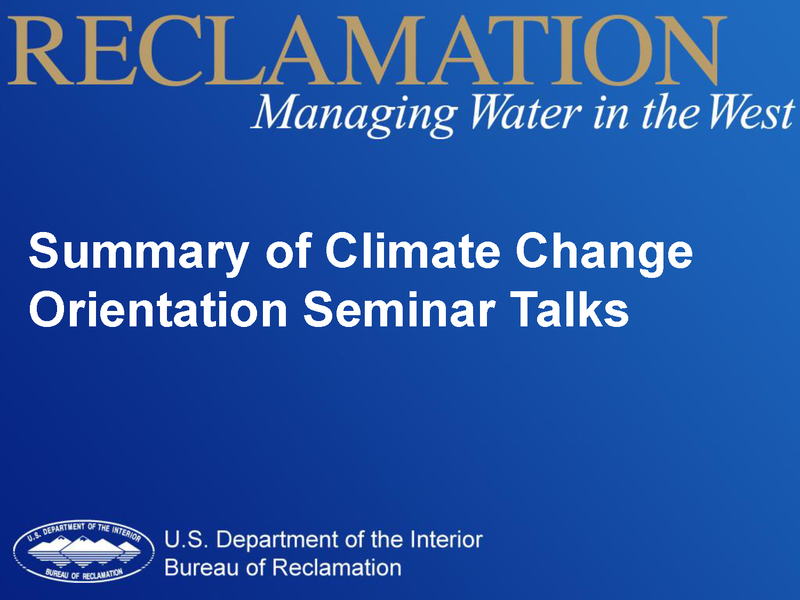 WaterSMART Basin Studies - Reclamation's has complimentary activities within the WaterSMART Basin Study Program as a comprehensive approach to incorporate the best available science into climate change adaptation planning. These activities include the Landscape Conservation Cooperatives, West-Wide Climate Risk Assessments, and Basin Studies. 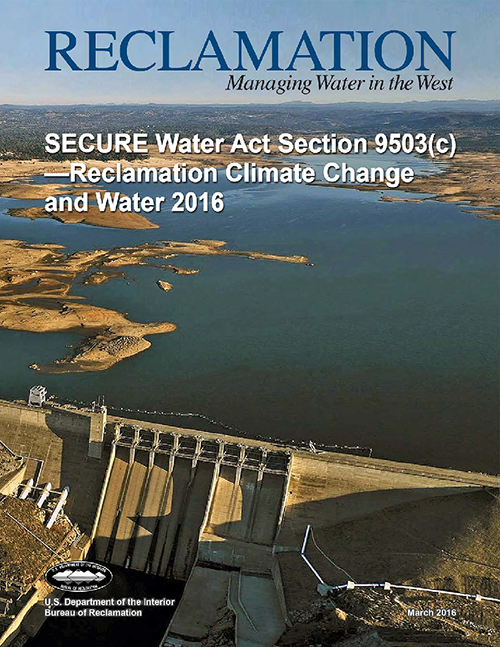 Togehter these activites are in accordance with Secretarial Orders 3289 and 3297 and meet the authorizations of the SECURE Water Act. Projected Streamflow Data - An online tool for western water managers and the public to help increase accessibility of science-based information and understanding of how climate variations will impact the availability of water to communities. Projected streamflow data for 195 sites on streams and rivers throughout the West.